Enhance your dress forms with these beautiful tear drop finials! These finials will match your ivory racks perfectly, and the pearlized ivory finished mixed with a translucent opal shimmer will make your dress forms and apparel stand out. Easy to use, the finials are the perfect size to fit right over the foam neck of your dress form, and can be changed out instantly. 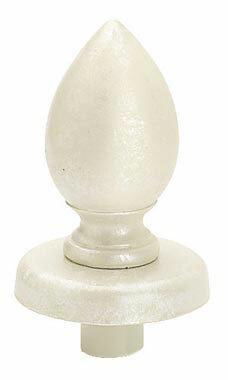 Explore our other ivory finials and create some diversity among your dress forms!